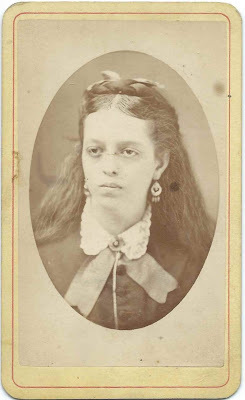 Carte de Visite dated August 1873 of a young woman identified on the reverse as Addie Danforth. 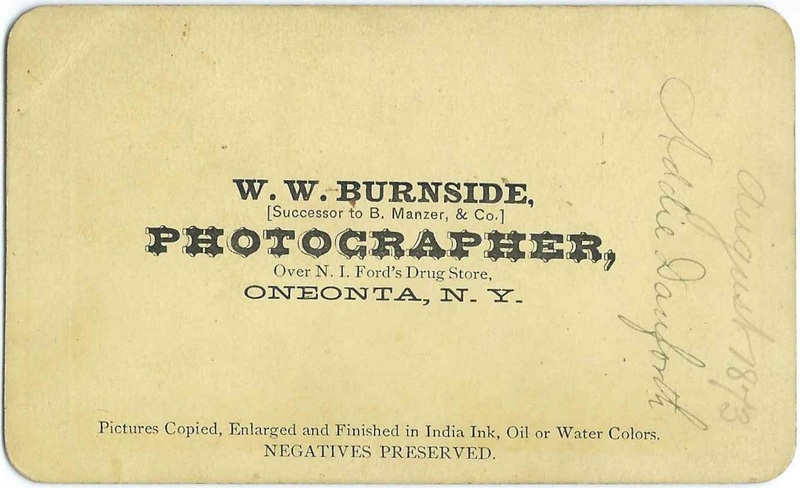 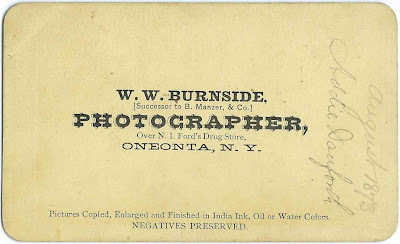 The CDV was taken by the studio of W. W. Burnside of Oneonta, New York. 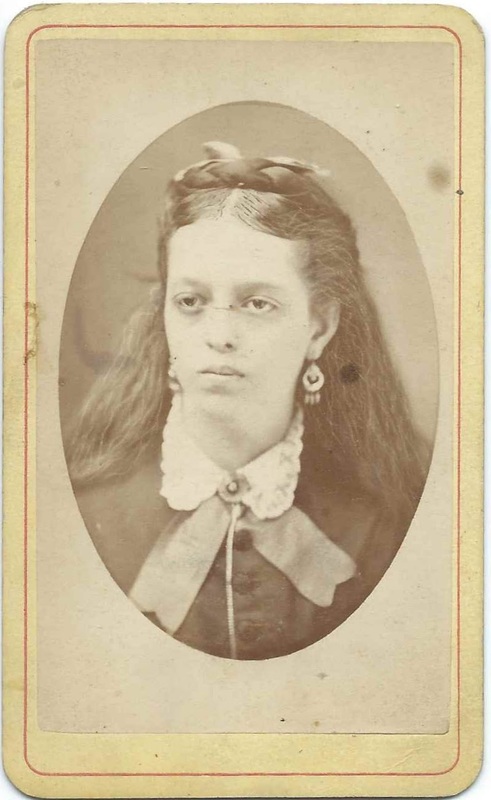 If you recognize Addie from your family photographs or research, please leave a comment or contact me directly.